Beck Fineman is a partner in the law firm of Ryan Ryan Deluca LLP, a litigation firm based in Connecticut. 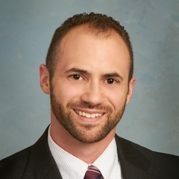 Beck is an experienced trial lawyer, having taken cases to verdict in state and federal courts in both Connecticut and New York, and represents his firm’s corporate, governmental and individual clients in primarily in employment, railroad, professional liability and personal injury matters. He chairs the firm’s Diversity & Inclusion Committee and dedicates significant time to Connecticut’s efforts to increase diversity in the legal profession statewide. Beck serves as Treasurer for the Connecticut Bar Association’s LGBTQ Section and is a James W. Cooper Fellow of the Connecticut Bar Foundation, a non-profit working to promote equal access to Connecticut’s legal system. Beck also is transgender. He transitioned before law school nearly two decades ago and has been a trailblazer for transgender and other LGBTQ lawyers who wish to thrive in historically traditional settings. By being openly, outspokenly queer in his legal communities, Beck strives to be an example of what it looks like to be wholly and authentically oneself in any professional endeavor and strives, as well, to create opportunities for others to do the same. When his first son was born in 2017, Beck and his wife, Annie, found a powerful community among other queer families. Beck and Annie both are dedicated to facilitating connections among queer families locally and nationally, and to advocating for laws that will strengthen every queer family. That dedication brought Beck to the Family Equality Council board in 2018 and inspires him to do his part to progress the organization’s missions. Beck hopes that both of his sons will grow up enjoying a sense of belonging with other families like theirs.